Money matters! Yes it does. Money is huge. Yet, it is a topic which pastors are often reluctant to address in the church. It certainly is a challenging topic, because it is a sensitive topic. But over the course of the next month we will be discussing this very topic. Because Jesus talked about it. In fact, Jesus talked about money as much as he talked about prayer. If it was such an important topic for Jesus to address, it needs to be a topic we address. If the church does not address relevant topics, the church becomes irrelevant. The world is talking about it and if the world is talking about it, the church needs to be talking about. If we do not make good decisions with our money, we will become enslaved by our poor decisions. This is why we need to hear from God on this matter. How many people live lives enslaved to debt? Eternity hangs in the balance. Jesus told us to store up heavenly treasure (Matthew 6:19–21). The types of investments we make today have eternal consequences. The urgency of the mission. God’s mission has a church. We need to recognize that with great blessing comes great responsibility. God will ask us for an accounting of what we did with that which he entrusted us with. Will we hear the words, “well done good and faithful servant”? For the sake of your relationship with God. Jesus says you cannot serve two masters (Matthew 6:24). While we can give every other part of our life over to him, our checkbook is often the one last thing we hold on to. These are some reasons why I believe we need to talk about it. I pray you can join us during the next four Sundays in November at 8am or 10:30am. We will also be hosting two workshops sponsored by Thrivent Financial. 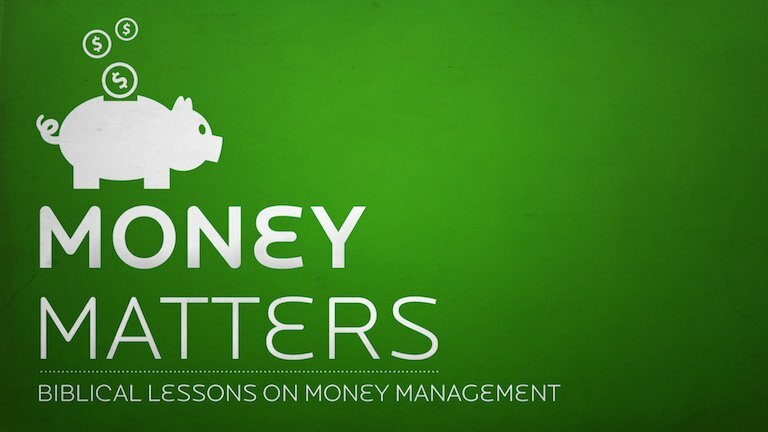 On Sunday, November 17 we will be hosting Parents, Kids, and Money Matters. And on Sunday, November 24 we will host Your Legacy: Family, Church, Charity. For more information and to sign up, make sure to visit our website. As a pastor, I am sometimes asked if Christians should celebrate Halloween? Halloween originated under the name Samhain (pronounced sew – in). It was a pagan festival celebrated by the Celts of Ireland and Great Britain. It was believed that this was magical time of the year. Contact with the dead and fortune telling through divination were traditions associated with this event. When Christianity was introduced to this region of the world, November 1 was established as All Saints Day. All Saints Day is a day where the all the departed in Christ are remembered and those of us who are left behind in this world celebrate their new life in Jesus. October 31, became known as All Hallows Eve, the Eve of All Saints Day. All Saints Day was a big day for the Church. In times past it was as big as Easter and Christmas. And much like Christmas Eve, everyone would come out for a special worship on All Hallows Eve. This was this reason that Martin Luther chose to post his 95 Theses on the Wittenburg Church doors on October 31, 1517. He knew that the church would be full and that many would have the opportunity to read these Theses. The 95 Theses called into question many of the corrupted Church practices of the day and led to spark the reformation. This is the reason why many Lutheran churches celebrate the last Sunday of October as Reformation Sunday. At Good Shepherd we will be hosting a Harvest Festival on October 27 at 5pm where we will participate in some of the secular customs of Halloween such as wearing costumes and trick-or-treat. Some may wonder why a church would participate in an event like this. There may very well be people who will choose not to participate in this event because of the nature of the holiday and that is ok.
What makes this so funny is the way that Christians lament over the secularization of Christian holidays like Christmas and Easter. Because of this secularization, the true significance of these holidays is often lost. Many would say the same is true of Halloween. They would say that the Satanic and occult element has been diminished to the point that Halloween has become nothing more than a fun and harmless secular holiday. Whether or not this is true can be debated. I believe that just as Christmas and Easter have not become totally secularized, neither has Halloween. Christmas and Easter are tremendous opportunities the Church has to bring the hope of Jesus into people’s lives. At the same time, Halloween offers tremendous opportunity for Satan and his legions to plant seeds of despair and fear. But what does the Bible say to this question? After all, that is what is important. We can say what we want about this day. But as believers we turn to what God has to say. Everything is permissible – but not everything is beneficial. Everything is permissible – but not everything is constructive. This teaching comes in the context of a controversy in the early church in regard to food sacrificed to pagan idols. There were some who would say that it would be sinful for a Christian to eat such meat. There were others who would say that it was just meat and that it really did not make much of a difference if it was part of a pagan sacrifice or not. So then, about eating food sacrificed to idols: We know that an idol is nothing at all in the world and that there is no God but one… But not everyone knows this. Some people are still so accustomed to idols that when they eat such food they think of it as having been sacrificed to an idol, and since their conscience is weak, it is defiled. But food does not bring us near to God; we are no worse if we do not eat, and no better if we do. Basically what Paul is saying is that two Christians could participate in the same activity; one would be innocent and the other would be sinning. If a Christian believes something is wrong and then does it against his conscience he is sinning. He sins not because the activity in itself is wrong, but because it is against his Christian conscience. Receiving candy, dressing up in a costume, and decorating pumpkins are not evil activities. A Christian can participate in these things with a good conscience. However, if these activities in connection with October 31 weighs on the believer’s conscience, they should refrain from these activities on that day. This also applies to Santa Claus, the Easter Bunny, and other secularized traditions connected with the holidays. Even if a Christian were to take part in the more innocent elements of this day, they should still be careful to draw a line and refrain from images, activities, and costumes that portray gore, evil, and fear. While there may be some Halloween traditions which hold some redeeming qualities, there are many traditions that do not. As Christians we do not need to participate in the activities below the standards of Philippians 4:8. Be careful, however, that the exercise of your freedom does not become a stumbling block to the weak. For if anyone who has a weak conscience sees you who have this knowledge eating in an idol’s temple, won’t he be emboldened to eat what has been sacrificed to idols? So this weak brother, for whom Christ died, is destroyed by your knowledge. When you sin against your brothers in this way and wound their weak conscience, you sin against Christ. Therefore, if what I eat causes my brother to fall into sin, I will never eat meat again, so that I will not cause him to fall. In other words, we need to be very careful how we celebrate our Christian liberty around others. Even if we can celebrate a harvest festival on October 37; we should not do so if someone else perceives it as living contrary to our faith as hypocrites. Here we shall deny our Christian liberty for the sake of the cross and the salvation of others. So what is the answer to the question? Can and should Christians celebrate Halloween? First, let’s not celebrate Halloween – let’s celebrate Jesus. Second, participating in the secular practices of trick or treat, wearing costumes, decorating pumpkins, and other things is permissible but not necessarily beneficial. We should definitely refrain from anything related to Halloween if it goes against our conscience or it would cause someone else to stumble in their walk with Jesus. If you do participate in Halloween related activities, refrain from images, activities, and costumes that portray gore, evil, and fear. Keep it fun. Keep it friendly. Keep it encouraging. And use Halloween as an opportunity to witness your faith in Jesus. So what our your thoughts on Halloween? I would love to hear your comments below. One of the first things I encouraged at Good Shepherd was daily Bible reading. There is no substitute when it comes to hearing from God. There is no better way to connect with our Savior and Lord on a daily basis. There are many great reading plans to help you engage the Scriptures. Good Shepherd even has it’s own daily reading plan that will take you through the New Testament in a year. 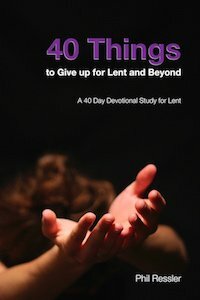 You can find the reading plan at philresler.com/biblereadings. It is so important we consistently hear from God. Peter said, “Lord, to whom shall we go? You have the word’s of eternal life?” (John 6:68) In many ways the Bible is our playbook. Imagine a football player going onto the field without the knowing playbook. When we fail to consult God’s Word, it is much like going onto the playing field of life without consulting the playbook. You will not have much of a chance of success. 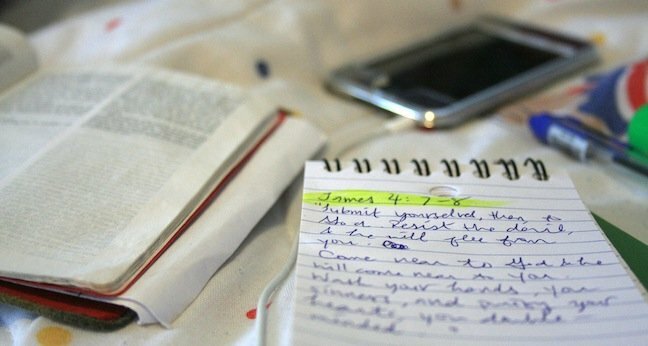 A great way to get even more out of your daily discipline of daily Bible reading is journaling. Often the difference between reading and studying is a pencil or keyboard. There is something about writing which helps you internalize and take a message to heart. Keep in mind journaling is different than keeping a diary. Journaling is about wrestling with the text to help you take away life application. It is about asking yourself what God would have you do in response to your daily reading. It causes you to reflect upon what you have read. That is where it starts to connect with life. When you read your daily Bible reading pick one verse, phrase, or single word that resonates with your heart. Write it down. What are some general and specific observations you have regarding the Scripture you recorded. Consider the people involved and what the Scripture might have meant to the people who originally heard it? What is one thing you can do as a result of reading this text? Be specific. If your application is to be more grateful, write down what that looks like. How will you practically show gratitude this day as a result of the reading? This is the opportunity to offer to the Lord whatever it is upon your heart. Your prayer may or may not relate to the text. In the end, it is not about Bible reading or journaling in itself. It is about connecting with our God and living out his will in our daily lives. Journalling is a wonderful tool to help us do this, but there are other ways. What are some methods or tools you use to help you apply God’s Word to your daily life? Have you ever been discourage because you felt that God was not answering your prayer? The Bible is filled with promises how God hears our prayers and answers our prayers. But why is it that sometimes it seems like our prayers are falling on deaf ears? One thing I have learned is with every promise there is a premise. There are certain factors each promise of God is dependent upon. For example the gift of salvation is dependent upon the fact that Jesus died on the cross and rose from the grave. Without those two things, there is no salvation. While salvation is a gift for all people, not everyone receives it. When we think about prayer, there are certain premises that go along with God’s promise to answer our prayers. If you are wondering why it seems God is not answering your prayers, you might consider the following. 1) You have not asked (James 4:2). Have you put your prayer to words? God cannot answer a prayer not prayed. If it is not prayed, it is not a prayer. This seems so elementary. Yet, this may be the biggest reason we don’t have, because we don’t ask. 2) Persistent sin cherished (Psalm 66:18). We are all sin-a-holics. We have all fallen short of the glory of God. But there is a difference between struggling with sin and cherishing sin in our hearts. If you are praying for God to bless you financially, make sure you are seeking to honor him with what he has already given you. He doesn’t give us more so we can sin more boldly. He gives us more to build his kingdom and better serve him. Those who are faithful with a little, will be entrusted with more. 3) Not listening to God (Matthew 13:14–15). There is a difference between talking with God and talking at God. Are you listening for his response? Sometimes we get so focused in on how we think God should answer our prayer, that we miss how he is actually answering our prayer. Are you seeking him in his Word? Are you seeking him in the Sacrament? It is hard to hear from God if we are not opening up our Bibles and regularly coming to his altar. These are the ways God regularly speaks to us. Maybe God has already answered your prayer, but you have not listened for the answer. 4) Not prayed in faith (John 14:6,12–14). God hears our prayers because of the shed blood of Jesus Christ. It is only through Jesus Christ we have access to the Father. We don’t pray to some ambiguous God somewhere up there in the sky. We specifically pray to our Father in heaven as Jesus has taught us and empowered us to do. Recognize those who pray in a name other than Jesus have their prayers fall on deaf ears. God hears our prayers only because of Jesus. 5) Not in agreement with God’s will (Matthew 18:19–20). This is why it is important to pray with other believers. Other believers will help us to align our prayers with God’s will. Tonight, the Bears play the Giants. I am praying for the Bears to win. Many of you are praying for the Giants to win their first game. We are in disagreement. Whose prayer will God answer? Actually, I don’t think either. I don’t think God really cares who wins a football game. It is not that important. But when we come together and recognize what is truly God’s will and ask God’s will to be done, God shows up in a big way. 6) Not yet (Psalm 13, Psalm 86:15). I don’t like this one. I am an impatient person. I want it now. I don’t like to wait. But I know in God’s way and in God’s time is the best time. In the end, keep in mind it is not about the answer to our prayers. It is about the relationship with our Heavenly Father. He is not the Almighty Vending Machine, where we put in a prayer request, and the answer is dished out. More than anything else God wants you to experience Him. He wants you to know that in Him you have everything you need and more. In Him there is always enough. In Him there is wisdom. In Him there is healing. In Him we discover a God who is bigger than all our trials, challenges, fears, and setbacks. In Him is abundant life. We discover all this when we take hold of the gift of prayer! Just a reminder – this Sunday we continue our message series – Build Your House of Prayer. Our special guest this weekend is Pastor Jim Buckman who is an Urban Mission Strategist and Church Planter. He will be sharing how he uses the gift of prayer to help build the Church of Jesus right here in New Jersey. Join us at 8am for Classic Worship or at 10:30am for Creative Worship. The iPray Bible study begins at 9:15 in the Fellowship Center between services. During the month of October, our focus at Good Shepherd is on prayer. Last Sunday (September 29) we began the iPray Bible study which is held at 9:15am each Sunday between now and Thanksgiving. Next Sunday, we will begin a new message series called Build Your House of Prayer. Jesus said, “my house shall be called a house of prayer.” (Matthew 21:13). Our special guest on October 13 and 20 is Pastor Jim Buckman. He will be sharing about the how he uses prayer to equip the Church to serve it’s local communities. Why is prayer so important for the church? A big reason prayer is important to the church’s ministry is because prayer was an important part of Jesus’ ministry. Jesus talked a lot about prayer, but even more importantly he modeled prayer for his disciples. If prayer was important for Jesus, it needs to be important for us. A praying church is a growing church. A praying church is a heathy church. A praying church experiences miracles. A praying church is connected to Christ. A praying church is a serving church. A praying church experiences revival. A praying church is a humble church. A praying church is a church with limited conflict. A praying church is a spirit-filled church. A praying church is a healing church. A praying church is a shelter from the storm. A praying church is molded to God’s will. A praying church is an expectant church. A praying church is a faithful church. A praying church is a difference maker. These are all things we all want for Good Shepherd. What are some other reasons why prayer is so important for the church? Please share in the comments. We would love to hear your thoughts. Join us Sunday at 8am during our Classic Worship or at 10:30am during our Creative Worship. If you miss any of our upcoming messages, you can alway catch them online at gs4nj.org/podcast.